Because all children are different. Because all children need different things in a classroom. In life. Because there are many different ways to achieve the same goal. Because learning to write and spell should make you feel good about yourself. Because making letters sit on a line can take away the magic of why we need letters. Because there is a joy to creating words. Because that joy needs to be nurtured. Especially by children. In classrooms. In life. This is one of my favourites pictures this week. Because it is not about spelling. Or handwriting. Or multi-sensory learning. Well, it is I suppose. But this picture is about the smile you can’t see off camera – the pride, the sense of achievement conventional writing was not, at that moment, giving him. It’s about doing things differently and in doing so, you actually get more done. You learn a new word, you learn the formation of the letters. You feel good about yourself. That feeling is the one we want to bottle, pop in their bags, hang on the fridge. We need to celebrate difference. Difference of looks. Difference of humans. Difference of learning. Learning and the way we see ourselves are so tightly woven together for young children. If children are taught that there are different ways to learn, then the way they see the world, letters, words, books – themselves even – becomes brighter. 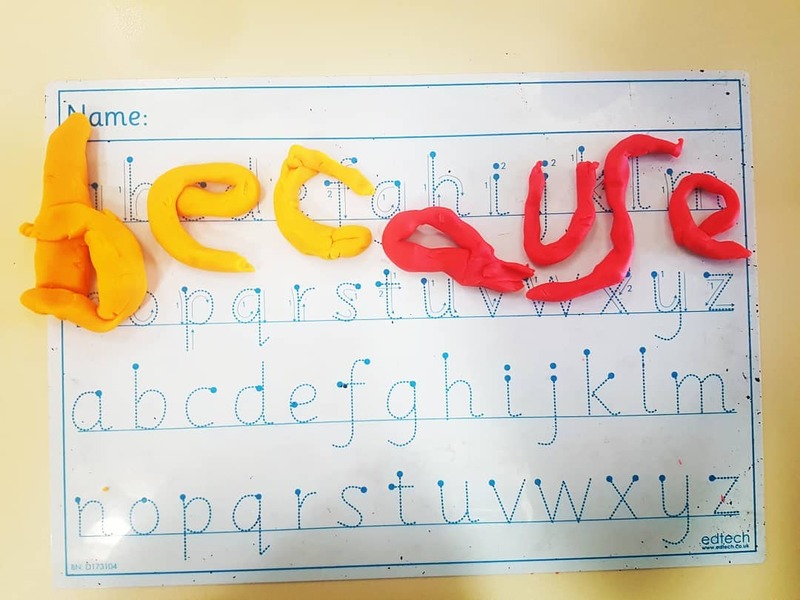 I am privileged to work in a small special needs school and even more grateful that I can offer creative literacy workshops from my kitchen too. I spend a great deal of time with children and their parents exploring and nurturing their children’s love for literacy. Some children come to me feeling very alienated from their inherent super-powers, their strengths. My job? To show them what was always there inside them. Where does that love come from? From creating a space – normally a creative space – to allow children to literally recreate their impression of words. I have seen that when words are recreated, a sense of sense quickly follows. What big ears you have! Semantic awareness and the power of listening to your own voice. The emotional world of the young reader ⋆ The Love Of Literacy on Phonics ‘first and fast’…but at what cost?